Thanks for praying with us! There is a free printable at the bottom of this post, because we love you all! 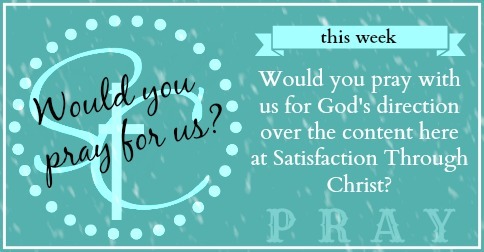 Satisfaction Through Christ is so grateful to all who are joining us for our second weekly blog prayer. Or if you need just a brief reminder – here is a sum up of the blog prayer intro post. 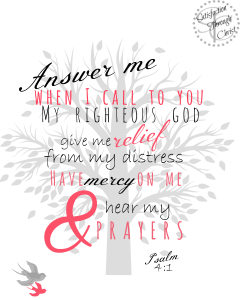 We are asking our viewers to pray for STC, as a ministry to women. We’ll be posting one line prayer needs once a week, on Sundays. Come by, read it, PRAY it. It will take less than a minute. Share it if you feel led to. UPDATE: Thanks to those of you who are praying! We hope our prayers increase every week! In the meantime, if you need reminders or encouragements to keep praying, please print off this Psalm Printable that we created just for you! Simply click on the picture to take you to the dropbox file where you can easily download and print this 8 by 10, or click here.